1, analysis of the crowdfunding event function. 2, Bibi technology function development is basically completed. 3, in order to enhance security, the bottom layer increases the test of cyclic multi-signing. On August 29th, Mr. Wu Gang conducted the fourth issue of "Gang Ge Talk": "SEER opportunities for sports". 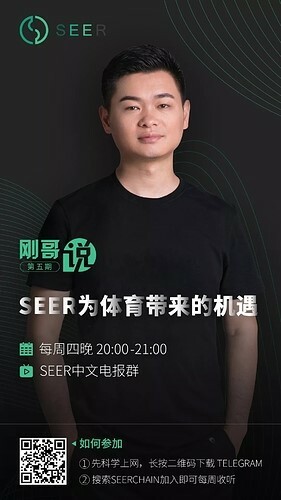 Mr. Wu Gang introduced the current situation of the sports industry and the opportunities that SEER can bring to the sports industry, and answered some questions raised by the community. In the interaction after the event, 5 lucky fans got the gift of SEER around the same day. "Gang Ge Talk" starts at 8:00 pm every Thursday at the SEER telegram Chinese community. 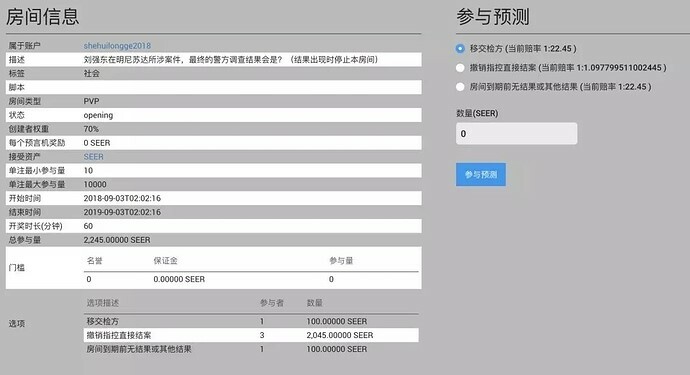 Welcome to https://t.me/seerchain. 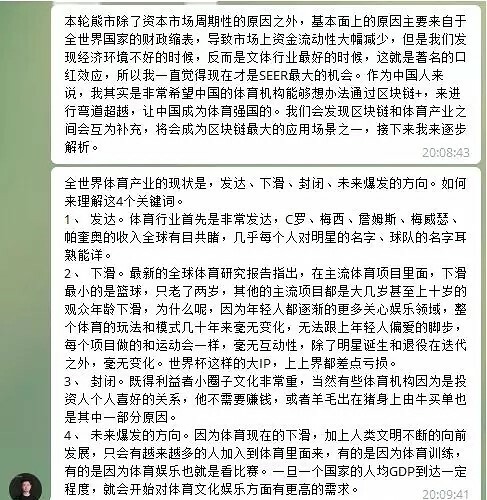 On August 31st, some SEER enthusiasts opened a prediction room on the “Kunshan traffic dispute caused a slashing death case”: “What about the legal responsibility of Yu Moumou who killed the brother Long?” (If the prosecution is based on the results of the first instance, without probation, the room will be terminated at the end of the first instance)"
The SEER community developer takes this room as an example. 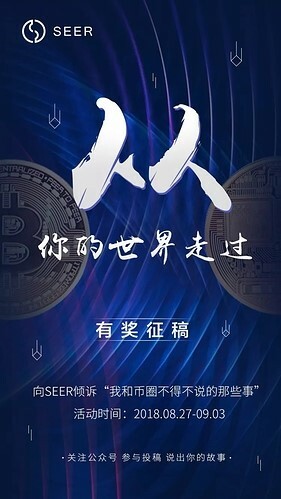 The author introduces the multi-host oracle model integrated in the bottom layer of the SEER blockchain, introduces the superiority and usage of the LMSR forecasting market function, and analyzes the logic in the room opened by the homeowner and the problem. On September 1, the Kunshan police made a decision not to file a case, and the owner of the room settled in time. 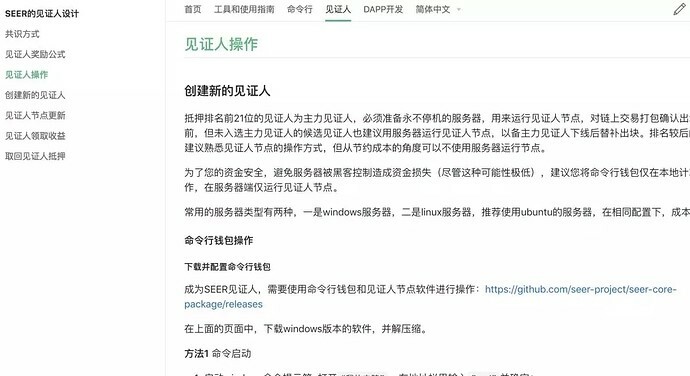 At present, the homeowner has opened a new forecast room: "What is the final police investigation result of Liu Qiangdong's case in Minnesota? (The room stops when the result appears)", welcome everyone to participate in the forecast. On September 2nd, the SEER developer community updated the document station, and refined the SEER web wallet to open a forecast room and participate in the prediction guide. Learn how SEER can predict the room and play it together. On August 30th, the SEER developer community updated the documentation site, added Dapp developer information, and briefly introduced some of the features of the SEER underlying DAPP developers. When the official Dapp "model room" is launched, more development materials will be added. On August 31st, the SEER developer community updated the documentation station, and improved the operation guides for the creation and receipt of SEER witnesses for users who are interested in becoming SEER witnesses. On August 27th, the SEER Chinese District Operation Team launched the “Those matters about me and the circle” and the event received dozens of wonderful articles. We will post these articles to the community forum and select 5 quality articles to be pushed on the public number, as well as small gifts for the author. (4) The SEER Japanese District Development and Operation Team translated the general content of the fifth issue of Gang Ge Talk, and communicated with the Japanese community enthusiasts of SEER. Japanese language enthusiasts who have Chinese will join the Chinese telegraph group to watch the live broadcast. .